Zac Efron was pictured with Christopher Mintz-Plasse on the set of their new movie ‘The Townies’ during filming in Los Angeles, California. 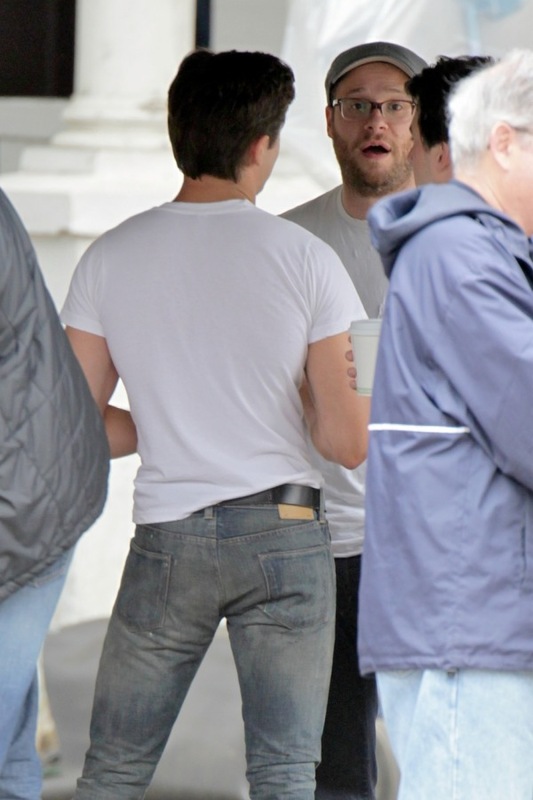 Zac wore a pair of tight fitting Simon Miller jeans with a Greek letter t-shirt and Nike’s. Even when he’s on set Zac dresses really well, his clothes are always fitted and very flattering. I think he looks great here!